A union of the traditional and the contemporary, the Jazz freestanding, ceramic basin invokes a feeling of calm sophistication. 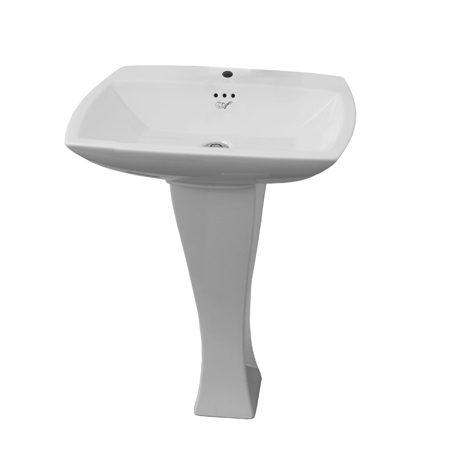 The smooth, fluid, lines of the Jazz Washbasin Pedestal bring elegance and classic appeal to bathroom sinks. This timeless pedestal pairs perfectly with the Jazz sinks by elevating both the height of the sink as well as the modern allure of any bath space.